Large open vessel like krater or lekane. Slight convex profile. 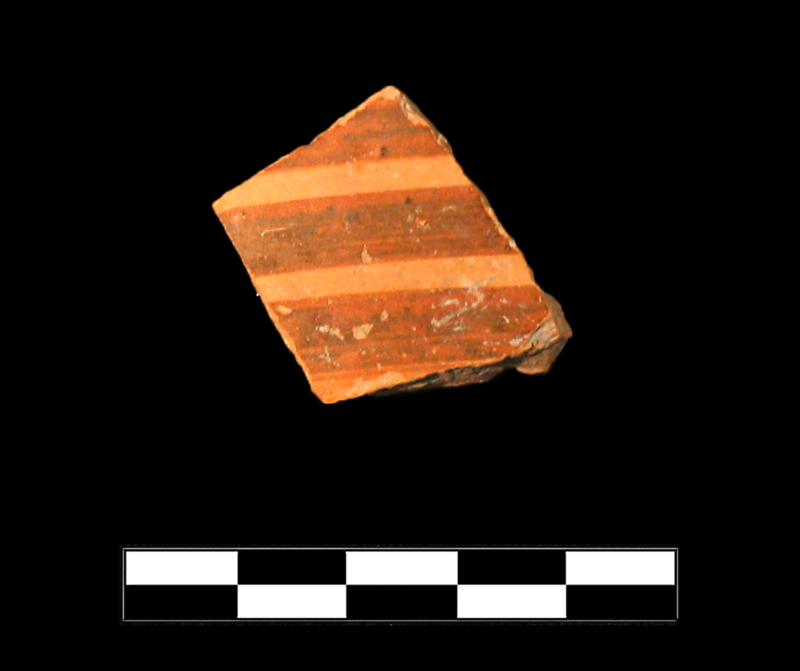 Solid glaze over interior; three parallel horizontal bands on exterior. Classical-Hellenistic. Fine, hard, gritty clay with some small voids and inclusions. Thin, somewhat uneven, semi-lustrous glaze. 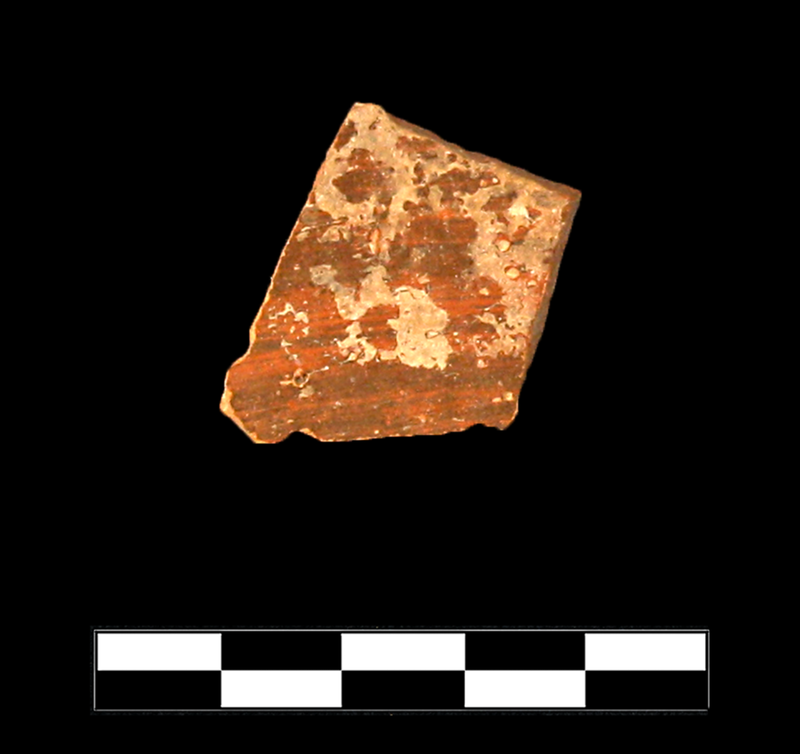 One small sherd from wall. Moderate, extensive abrasion and scratching; worn edges.